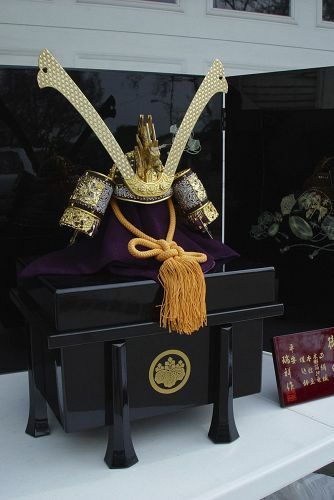 Japanese Boy's Day display set with a helmet (Kabuto) and a screen. The lacquer screen is very shiny like a mirror. See Photo #10.